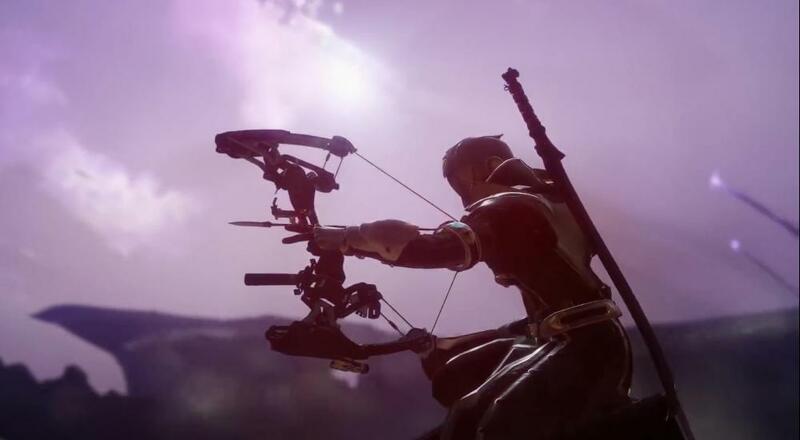 Bungie had a new trailer for the forthcoming Destiny 2 "Forsaken" expansion during last night's Sony press conference. Look, this thing and discussion of what's in it is everywhere, so I'm not even going to try and claim some kind of "spoiler warning" here, but if you really don't want to know about the story in the expansion until you're playing it, then just don't read any further. Alright, so... I have a lot of thoughts on what Bungie's doing here, but front-and-center, I'm kind of annoyed that they're pulling a cheap narrative trick here. Want to get people invested in the game/story again? Kill a character off. I'm not saying it doesn't work, I'm just saying that this is a low move to pull. Anyways, I know one buddy who's excited to see Uldren "The Crow" Sov make his return to Destiny, so I guess that's something. If you're curious to learn more about the new Gambit mode that will be in "Forsaken", Bungie just dropped a new trailer that goes a little more in-depth on this PvPvE match. The "Forsaken" expansion for Destiny 2 will arrive on September 4, 2018. You'll need the base game plus both the "Curse of Osiris" and "Warmind" expansions in order to play it. Bungie has promised some discounted options to acquire all that content, which should be announced/revealed closer to September. Page created in 0.2686 seconds.